India, as the 21st century economic powerhouse, riding on starts-ups and innovations, emerged as the theme of the maiden conclave A-Square, organized by the students of Indian Institute of Amritsar, ‘India’s Century: Opportunities & Challenges for Business,’ here in Amritsar, on March 5, 2016. The conclave was supported and aided by the Institute’s mentor-director Prof. Kulbhushan Balooni, also Director of IIM Kozhikode, and a team of faculty members. 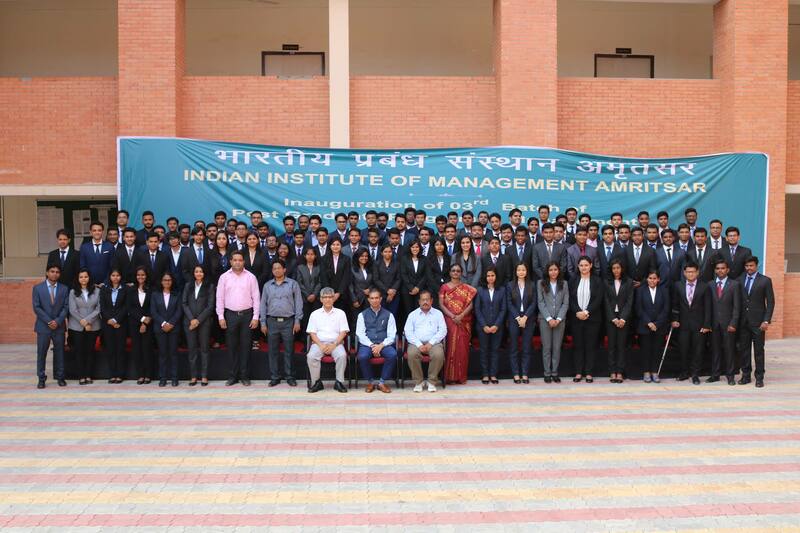 The founding students of IIM Amritsar conceptualized A-Square, the annual management conclave, in the first year of its inception. Addressing the gathering of industry stalwarts, corporate head honchos, academicians and students, Prof Balooni said that the recent Indian government decision to allow 100% Foreign Direct Investment in Food Processing Industry will have far-reaching impact and that IIM Amritsar will play a big role in boosting the agricultural economy of Punjab, by way of developing domain expertise in agriculture business. The program began with the lighting of a lamp by Prof Kulbhushan Balooni, keynote speaker Mr. Rupak Agarwal, Business Head, Godrej properties and Prof. Keyoor Purani, Dean Development, IIM Kozikhode. Other speakers at the forum in the three industrial panels were Dr. Milan Agnihotri, Leo Burnett, Mr. Rakesh Sharma, Senior Consultant, Philips, Mr. Saurabh Dasgupta, Creative Director, Innocean Worldwide, Mr. Pankaj Dubey, MD, Polaris, Mr. Avnish Sabharwal, MD, Accenture, Mr. Ajit Singh, VP(HR), Encore Capital, Mr. Arun Sawhney, former MD, Ranbaxy, Mr. Sunil Agarwal, MD, Deutsche Bank, Mr. Basant Maheshwari, Investor & Author and Mr. Ashish Gupta, Partner, KPMG.